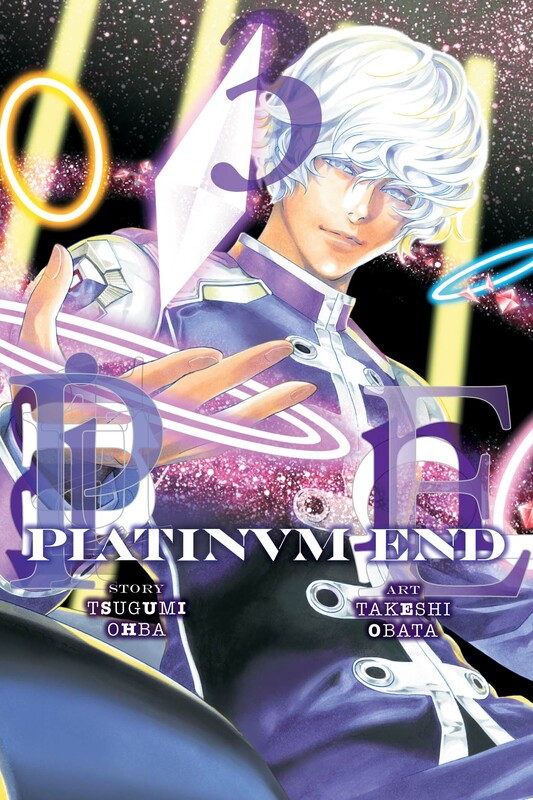 Platinum End volume 3 was written by Tsugumi Ohba and illustrated by Takeshi Obata. This volume was published on 1st of August, 2017. This volume features the third three chapters (07-09), read my review for the second volume here. After the massacre at the stadium Mirai and Saki begin to formulate a plan when, all of a sudden, another God candidate comes knocking upon their window. He introduces himself as Mukaido Nanato, a clothing producer. He suggests that the strangers unite under the common goal of putting an end to metro policeman’s brutality. However, the clock is ticking as metro policeman continues to hunt down the other God candidates via any means possible, including releasing a deranged serial killer into the masses. After the first murder, the ad-hoc alliance must rush to find “Girl A” before she kills again. My Review: Volume three introduces a new character who brings an interesting dynamic to the table, Mukaido‘s mature perspective offers greater insight and guidance to Mirai and Saki, allowing for more intelligent group decision making, as well as more effective strategising. 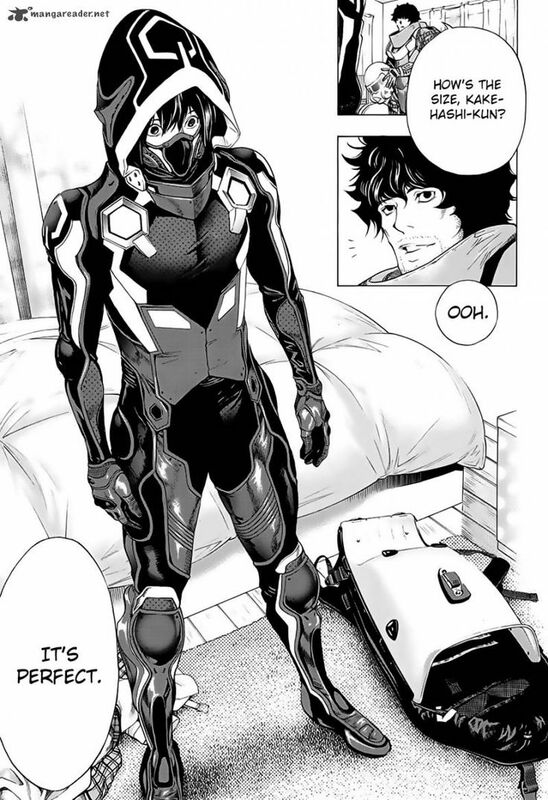 We also get our first glimpse of Mirai‘s battle suit which is a stylish motocross-magician mix? Either way, it looks pretty neat. The other character introduced is Girl A the deranged serial killer who suffers from the same issue as many of the other supporting characters, that being underdevelopment. Still, I had fun with this volume and the slower pace worked well for introducing the new strategical elements to the story, which I fell is what shines in this particular type of plot. I’m very happy with the volume and I anticipate the official release of the next volume in December.